Global alliance of overseas Filipinos Migrante International expresses its solidarity with the people of Hong Kong in their uprising for universal suffrage and against repression and police brutality. Migrante International condemns in strongest terms the human rights violations and suppression of civil liberties being carried out by the Hong Kong government as a response to the ongoing full-blown occupation of areas surrounding the Central Government Office (CGO). The growing movement for universal suffrage is a result of years and years of discontent against the Hong Kong government for failing to address problems such as lack of social services, disregard of the condition of workers, violations of rights and other anti-people and anti-migrant policies. 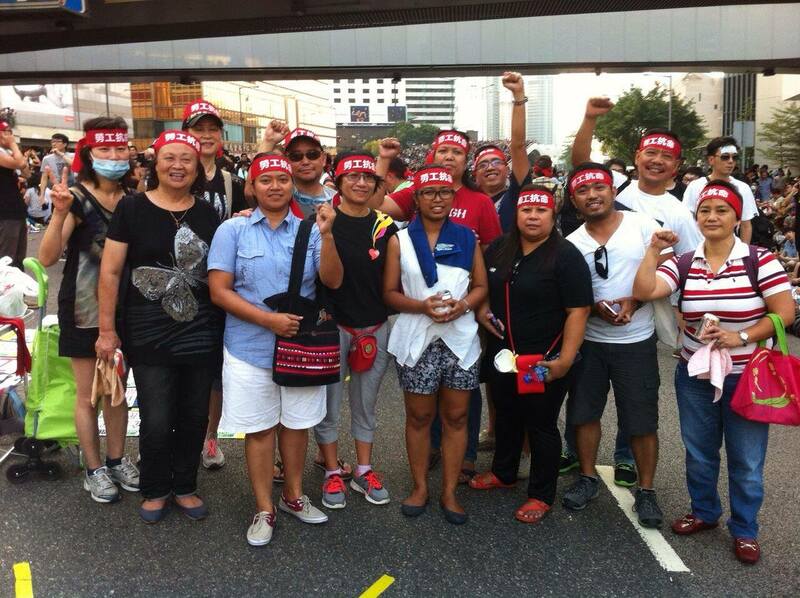 Migrante International calls on all freedom-loving Filipinos to stand in solidarity with the people of Hong Kong. Hong Kong is home to at least 240,000 Filipinos. As Filipinos, we can sympathize with the people of Hong Kong. We are also presently protesting the dictatorship of the BS Aquino regime. Like the people of Hong Kong, our rights and civil liberties are also under attack as we clamor and continue to struggle for genuine social change and our democratic rights. We recognize the sovereign right of every peoples to assemble and protest against tyranny and fascism. We realize how only through unity and collective struggle can oppressed peoples bring about change.